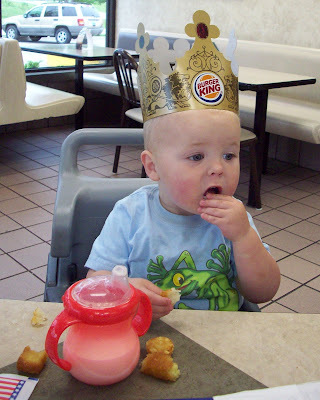 The other day, Gideon and I stopped at BK to have a nice wholesome breakfast (cough cough) and much to my enjoyment he wore the crown the ENTIRE time... it was pretty much the best ever. 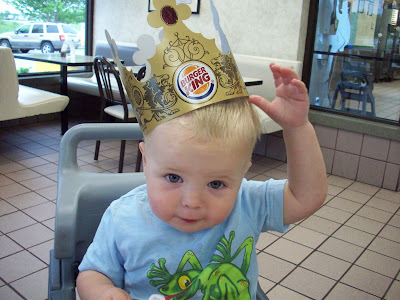 I was beside myself with giggles the entire time and got lots of strange looks from the group of retirees that can always be found at Burger King early in the morning. Side note: How come chubby cheeks look so much cuter on him than they do me?? ?